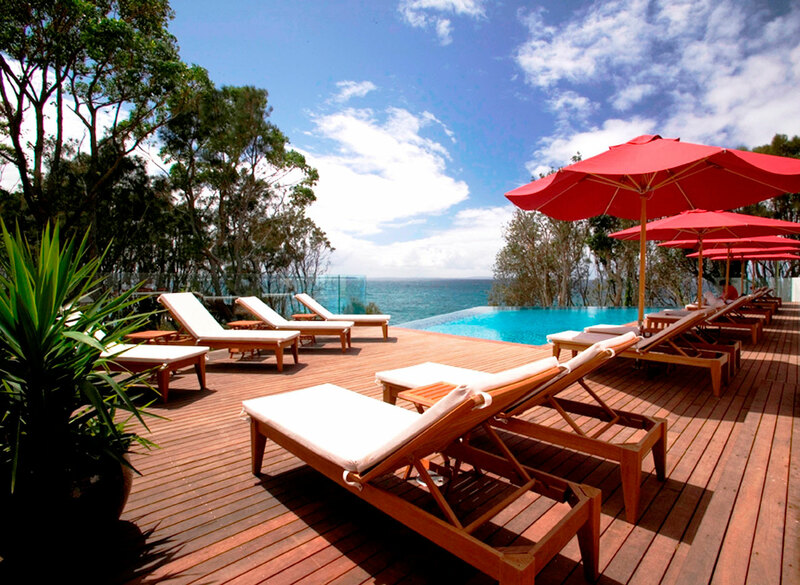 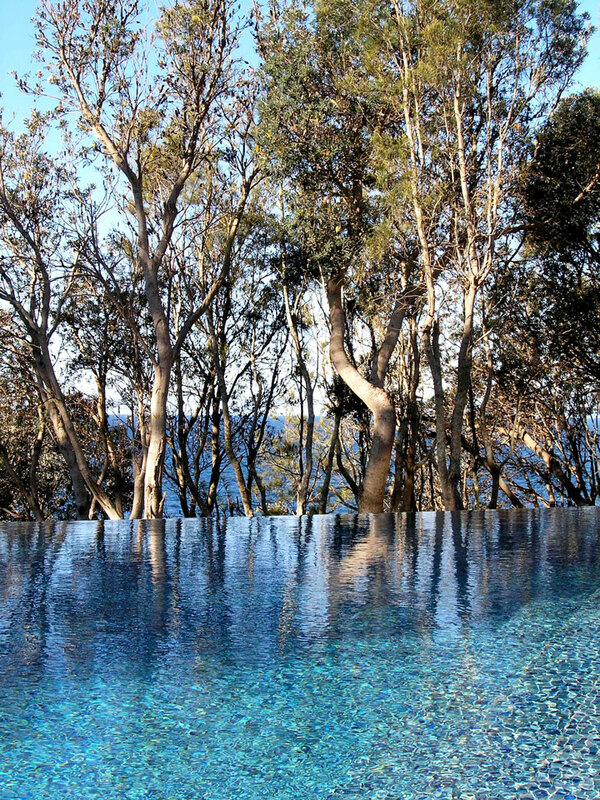 Bannisters, a boutique hotel and award-winning restaurant, is set on a unique cliff top location above Mollymook Beach on the NSW South Coast. 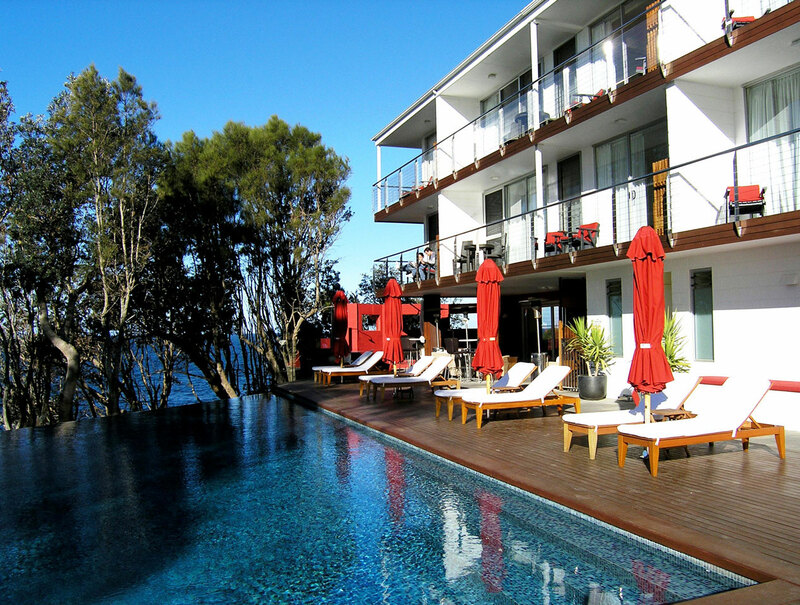 Originally built in the 1970’s as a typical seaside motel, it was substantially upgraded internally and externally to its current high level of quality and presentation. 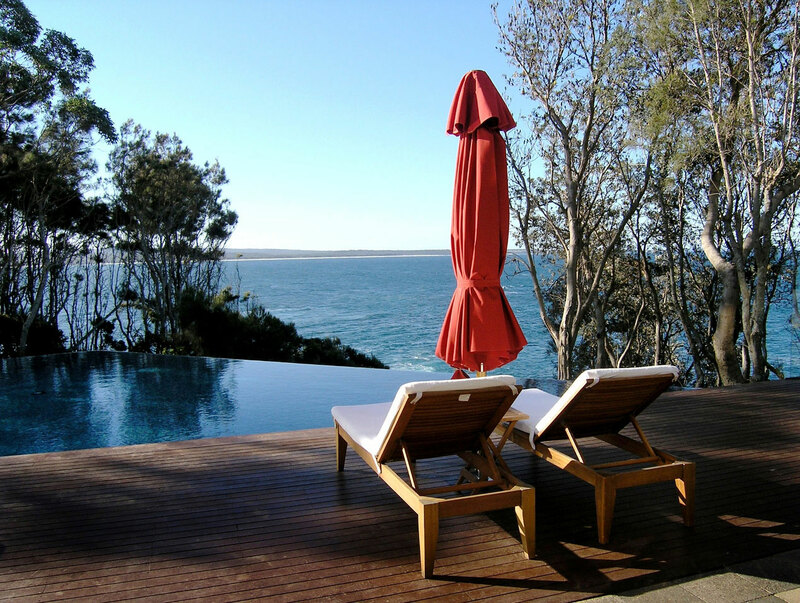 Our brief, to upgrade the area between the hotel and the cliff top, included the complete renovation of the old swimming pool and surrounds, which was deemed in this instance to be more cost effective than a complete rebuild of the pool. 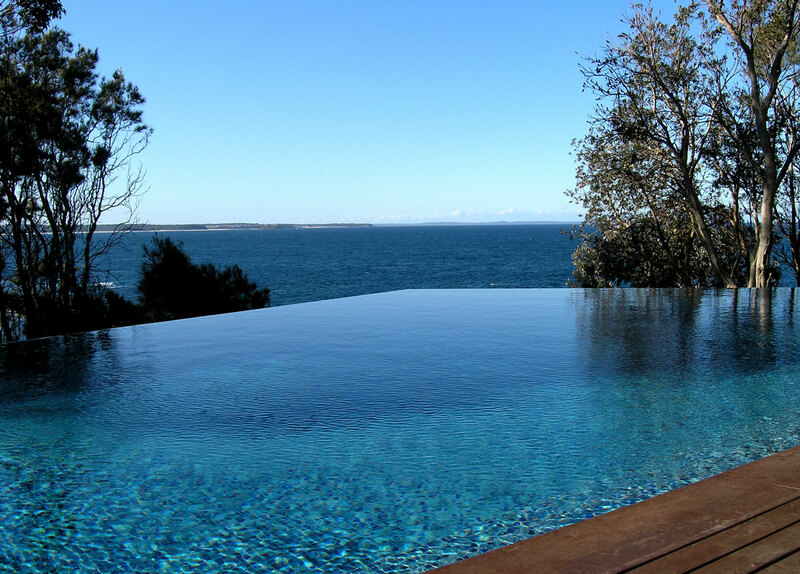 The ocean-side section of the pool concourse was completely removed and a weir/cascade and balance tank created to take advantage of the pool’s dramatic location - and to also ensure that the surface of the pool remained clear at all times by virtue of the extended weir. 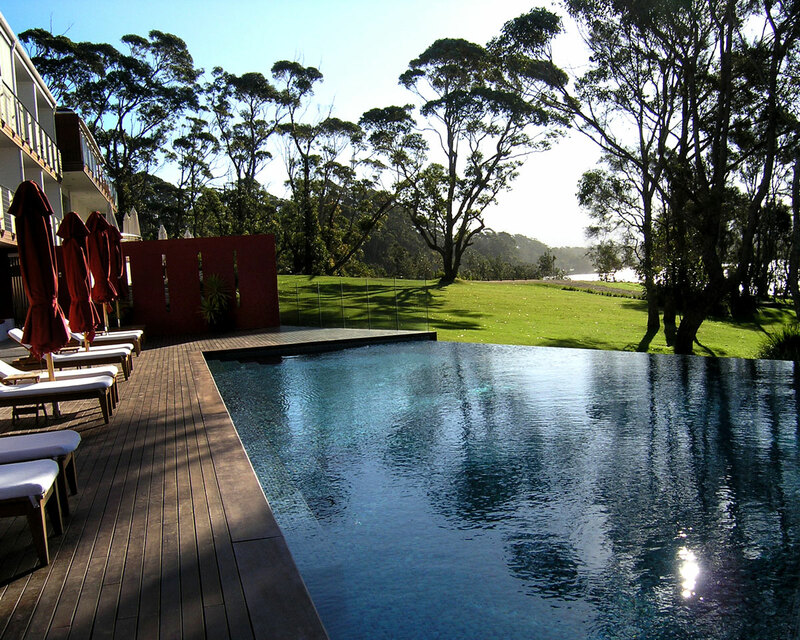 Expansive areas of timber decking were also incorporated to ensure that ample area was provided for access around the pool and for sun lounges.